In 2008 Spiritual Health Victoria (SHV) began to work with the aged care sector and established an Aged Care Special Interest Group for those with responsibility for spiritual care in aged care in Victoria. The work of this group led to a growing awareness of the issues and challenges, the lack of consistent standards and practices and the need for education and training in the sector. 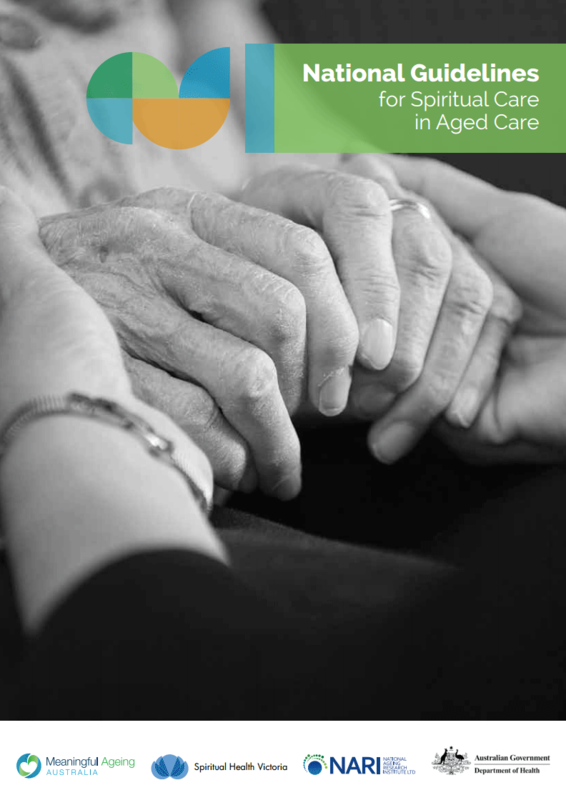 SHV identified the development of guidelines for best practice spiritual care in aged care as an integral part of its strategic plan for 2009-2012. During that period, PASCOP, now Meaningful Ageing Australia, was established as the peak body for spiritual care and ageing. Working with PASCOP and the National Ageing Research Institute, funding was secured through an ACSIHAG grant to complete work on the National Guidelines for Spiritual Care in Aged Care, with Meaningful Ageing as the lead. They were launched in 2016 following extensive sector consultation and research.